Although parents are permitted to use physical force in disciplining children, using excessive force is against the law. Inflicting Physical Punishment on a Child (also commonly referred to as child abuse) is a criminal offense pursuant to California Penal Code Section 273d PC. AND when the defendant acted, he or she was not reasonably disciplining the child. A child is as any person under 18. A traumatic physical condition is a wound or other bodily injury, whether minor or serious, caused by the application of physical force. The condition would not have happened without the punishment or injury. A man feels the need to discipline his disobedient child and so he spanks the child using a paddle. Spanking (even with an object) is permissible under the child abuse law and the man would not be prosecuted under California Penal Code Section 273d PC. However, if the man hit the child excessively until the child passed out and caused massive bruising and swelling, then he could be prosecuted for child abuse. 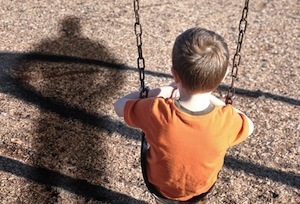 It is not uncommon for allegations of child abuse to arise in child custody disputes, where one or both parents use any means necessary to gain custody of the child, even if they make up false accusations regarding child abuse. As mentioned above, parents have a right to use reasonable physical force to punish their children. Thus spanking or even striking a child with an object like a paddle or a belt would not necessarily violate the statute, as long as the force used was not excessive. In addition, children notoriously pick up lots of bumps and bruises as they make their way through life. There may be incidents in which a child is inadvertently struck by a parent by accident. In these cases, the conduct was unintentional and there would be a strong accident defense. Child abuse under California Penal Code Section 273d PC is a “wobbler” offense, which means that prosecutors can charge the offense as either a felony or a misdemeanor, depending on the factual circumstances surrounding the incident and the criminal record of the defendant. If charged as a felony, a defendant can be sentenced to up to six years in prison. If the defendant has a prior child abuse conviction, an additional four years in prison will be added on top of the sentence. This does not apply when 10 years have passed since the defendant served prison time on the prior offense and the defendant has not served any time in jail for any other felony offense in those 10 years. On any grant of probation, a court may impose additional conditions such as substantial court fines, protective orders involving the victims, counseling and/or parenting classes and drug testing. In addition, child abuse convictions can make people ineligible for certain professional licenses and may impact future employment in fields such as education, child care or nursing. Child abuse is a serious offense that can trigger many long-lasting consequences for those convicted. As a result, if you or a loved one have been accused of child abuse, it is critical that you speak with a Los Angeles Criminal Defense Attorney immediately. Los Angeles Criminal Defense Attorney Michael Kraut is a former Deputy District Attorney with over 14 years of prosecutorial experience who is adept at defending cases of this nature. Mr. Kraut brings his years of knowledge and experience to every case he handles and ensures his clients get the best representation possible. For more information about child abuse charges, and to schedule your free consultation, contact Los Angeles Criminal Defense Attorney Michael Kraut at the Kraut Law Group located at 6255 Sunset Boulevard, Suite 1480, Los Angeles, CA 90028. Mr. Kraut can be reached 24/7 at 888-334-6344 or 323-464-6453.